Boldly Enter the Second Age of KeyForge Organized Play! "Don’t worry, Momo. We’ll have this quantum death ray installed in no time." Everywhere you turn, you'll find other Archons awakening, assembling their minions, and sending them forth to gather the precious Æmber we need to forge our keys and open the Crucible's many hidden Vaults. Everywhere you turn, you'll see players unlocking new decks, exploring the subtler synergies folded within their cards, and sampling the game's myriad formats and variants. You'll find gameplay streaming all across the Earth's interwebs. You'll find players discovering decks in the Master Vault and touting the merits of their favorite houses. It was writ in days past that this first period of discovery—this first epoch of KeyForge Organized Play—would come to an end on January 22. For though the first age would last those first few months, it would not last forever. Forever is a very, very, very, very long time, and we have so much more to share! In the Time of Triumph, you will still find countless opportunities to expore all that is fun and unique within KeyForge. And, at the same time, you will find more chances to establish yourself as a powerful force among Archons—a leader of minions, a collector of Æmber, and an opener of Vaults. As we enter the Time of Triumph, you'll find the Master Vault opening and revealing more of its full purpose. As those of you who watched the latest Crucible Cast may have already learned, your participation in local ChainBound tournaments (at qualified retailers) will start earning you additional Æmbershards. In turn, these Æmbershards will be added to your account on the Master Vault and may be redeemed for prizes at any event featuring a Prize Wall. But that's not all! There's plenty more than the ChainBound events headed your way! Seasonal Kits will support Open Play Nights, and you can collect new cards each month simply for heading to your favorite local retailer and playing—whether in casual match-ups or tournaments. Qualified brick-and-mortar retailers may even use their Seasonal Kits as extra prize support for their ChainBound events. Qualified retailers will be able to run ChainBound events as often as once per week. These casual tournaments are a great opportunity to pursue extra Æmbershards, and they use the game's chains mechanic to prevent top decks and players from consistently dominating the local metagame. Because of this, ChainBound events will provide ample opportunity to experiment with new decks and strategies. 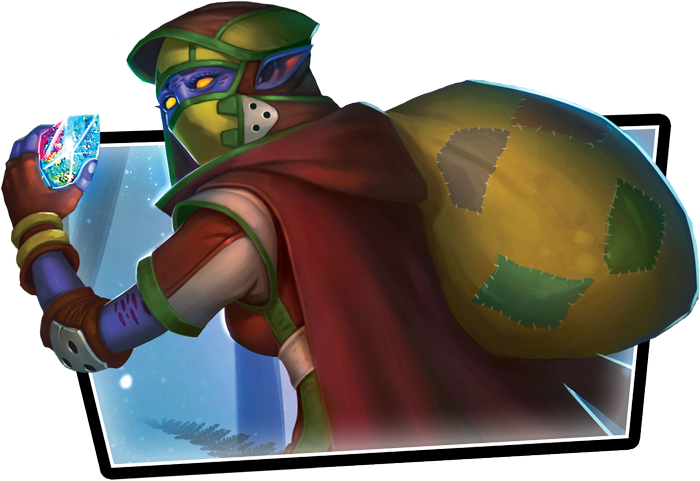 Seasonal Premium Kits will introduce additional custom KeyForge prizes that local game stores can use to run special, standalone events—or bolster their support for their ongoing events. Each of these kits will be themed around a specific house. 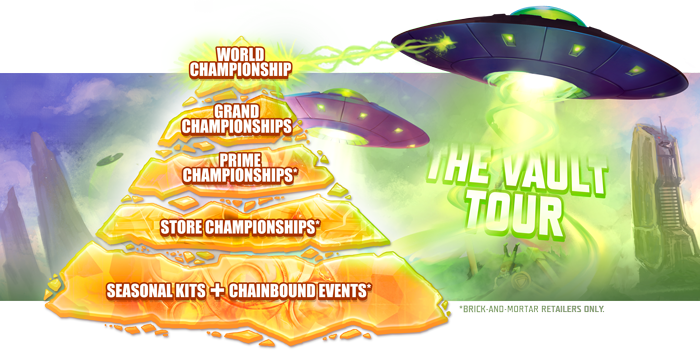 We'll see the KeyForge Organized Play pyramid start to take shape—building upon the store-level ChainBound events with regional-level Prime Championships and Grand Championships (that run once per nation or territory)—all leading, ultimately, toward the KeyForge World Championships. Finally, your Archon decks will start to earn Chains (although these function only at ChainBound events) and Power Levels. These trappings will stay with the decks—rather than the players—and speak to their unique identities in the world. Some Archons may even move toward ascension! Don't worry! We'll have more details about all these events and programs in the weeks and months to come. For now, the point is that you can look forward to a KeyForge Organized Play program that's got more layers than a Martian onion! Stay tuned for more KeyForge news—and signs of the end times—on Twitter @FFGOP and #KeyForgeOP! KeyForge is a Unique Deck Game where two players take on the roles of mighty Archons racing to forge keys that unlock the hidden vaults of the Crucible, an artificial world where anything is possible. Battling with an incredible array of creatures, artifacts, and abilities in every one-of-a-kind deck, every game presents a new challenge and no two battles will ever be the same!